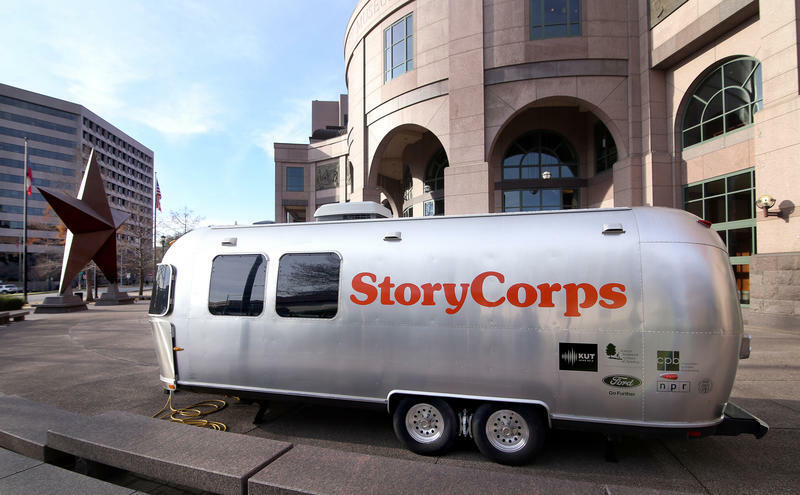 J.J. Lara and Rose Pulliam at the StoryCorps mobile booth in Austin. 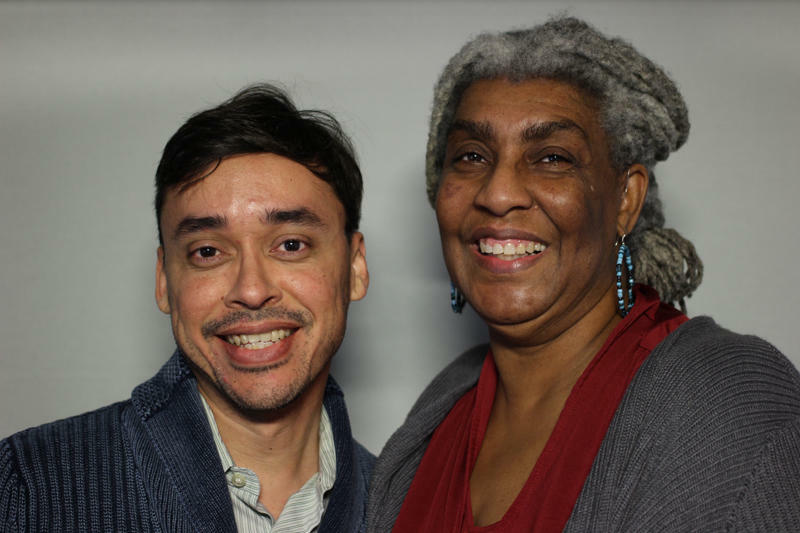 J.J. Lara and Rose Pulliam are longtime friends; they met years ago at ALLGO, a statewide organization for queer people of color. Lara and Pulliam recently sat down together at the StoryCorps mobile booth to chat about their lives and their friendship. In this portion of their conversation, Pulliam brings up the fact that Lara is out to everyone in his life, with a notable exception. His parents, who live in Lara's hometown of Brownsville, do not yet know he is gay. This piece was produced for KUT by Michael Lee with interviews recorded at StoryCorps, a national nonprofit whose mission is to provide Americans of all backgrounds and beliefs with the opportunity to record, share, and preserve the stories of our lives. storycorps.org.